Serving Elizabethtown, KY, E-TOWN KITCHENS & BATHS, INC. provides professional cabinetry services. Products By E-TOWN KITCHENS & BATHS, INC.
Make good use of the space that you have in your kitchen and bathroom by having cabinets and countertops that will do their job. E-TOWN KITCHENS & BATHS, INC. in Elizabethtown, KY designs and creates storage solutions for your home. Organizing and storing your pots, pans and other necessities will be easier and also more pleasant with our help. Our products are known for their durability and innovative designs. E-TOWN KITCHENS & BATHS, INC. is a known cabinetry merchant that measures, designs and installs cabinets and countertops for your home.W we are the top designers for storage solutions and quality products. 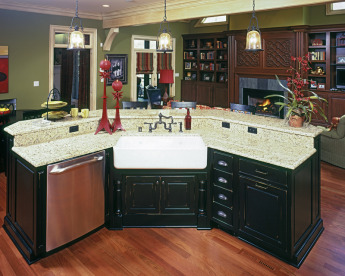 Call us to inquire about our cabinetry services and request an estimate.